"It ain't easy bein' cheesy"
Really this blog post doesn't need anything more than a headline and photo to be complete, but I thought I'd do a little research on Cheetos today in honor of Katy Perry's tribute to the crunchy cheese-flavored snack puff that makes our favorite orange human John Boehner look downright pale. As you already suspect, Cheetos is by no means a health food, nor is its relationship to cheese anything but tangential. 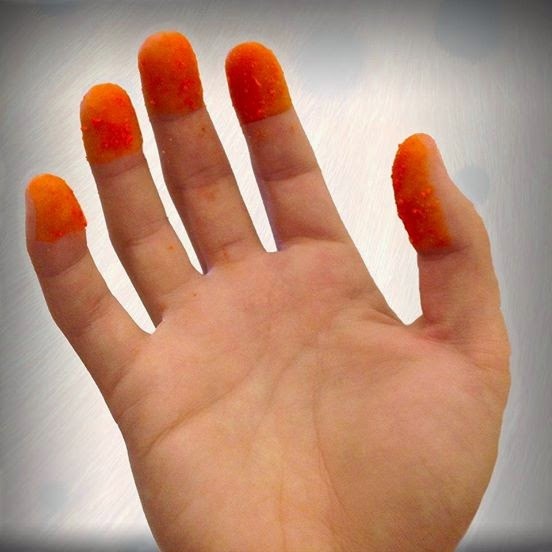 In case you wondered, a typical 1 cup serving of Cheetos has 310 calories, 26g of refined carbohydrates and only 3g of protein. 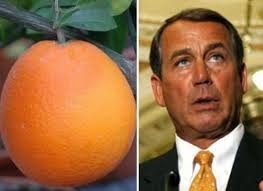 That's a lot of empty calories and carbs just to end up with orange fingers. If you are like most people, you'll enjoy a nice insulin rush as those refined carbohydrates try to find a place to hide in your body. Unless you run a mile right after ingesting your Cheetos, most of the carbs will likely end up as triglycerides in your fat cells, along with the carbs from the Cheerios you ate for breakfast. Some schools have banned Flamin' Hot Cheetos, claiming they are addictive. According to a media round up article in the Daily Mail, "Each bag of Flamin' Hot Cheeots has 22 grams of fat, 500mg of sodium and 320 calories. Many children say they eat four bags a day -- including for breakfast. "Nutritionists say the snack's mix of fat, salt and spiciness makes it 'hyperpalatable,' even addictive. 'You can almost equate the craving (for processed food) to that of cocaine,' Gene-Jack Wang, a researcher in Brookhaven National Laboratory in New York, told the Chicago Tribune." But enough Cheetos bashing. An occasional handful won't kill you immediately provided most of your diet is relatively clean and low carb. The Cheeto actually has a colorful history, causing the marriage of Frito and Lay in 1961 (the company is now owned by Pepsi). It was the first popular cheese-flavored snack puff and is still the leader of the pack, racking up some $4 billion in sales as of 2010. Other countries have unique flavors of Cheetos you will not find in the United States, such as Strawberry Cheetos in Japan (dipped in frosting) and Zesty Japanese Steak in China. Perhaps the most fun fact about Cheetos is that sometimes they get distorted in the manufacturing process and morph into other shapes. According to that dubious source Wikipedia, a Cheeto shaped like Michael Jackson doing the Moonwalk dance sold on eBay for $35.18 in 2009. Another Cheeto shape shifted into Jesus and became the first snack food to be named Cheesus. 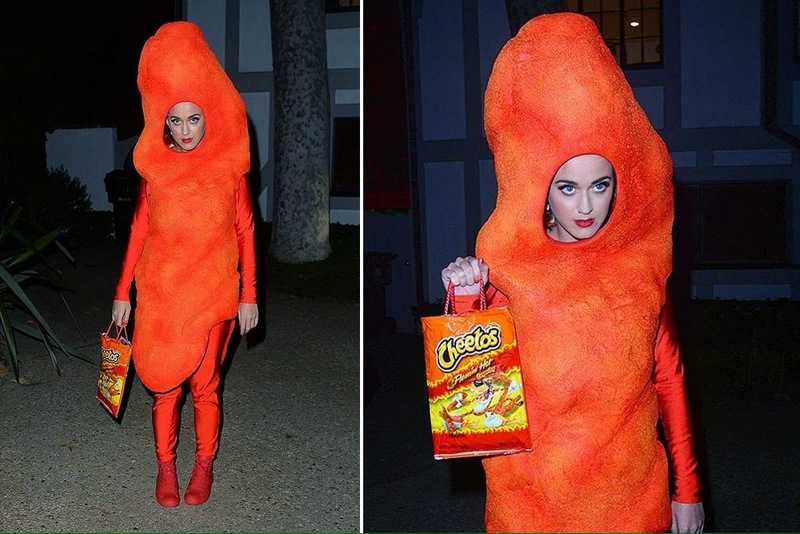 As for Katy Perry, she reportedly wore the Cheetos costume to Kate Hudson's Halloween party as a tribute to the solace she found in the snack after her split from Russell Brand. "'There were two weeks of my life after I found out the truth of my marriage where I was like, 'OK. All right. I can't feel this. This is too intense right now,'" Perry told Marie Claire. " I was, like, just eating Flamin' Hot Cheetos and drinking, and that's it." 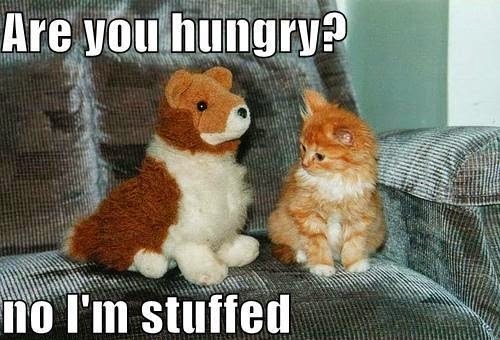 Food and Mood: Are You Craving the Food or the Feeling? "Just got home from a long walk and felt like I could eat a dozen homemade chocolate chip cookies. Instead of diving straight into baking, I thought about why. I wanted the cookies to feel cozy on this grey day, to feel like I'm in a log cabin with the fire going.So instead I changed out my bedding to feel more cabin-y, lit some candles and am about to grab a pile of magazines and crawl into bed. It's not about willpower, it's about creating a life that is better than chocolate chip cookies." The cool thing about Medifast is you can still have that cookie if you want to, albeit in the form of a chocolate chip soft bake. But if it's not time for a meal or snack, you can find other ways to feel comforted -- whether it's bedding, candles or that stack of magazines you've been meaning to catch up on. From a Freudian perspective, you can sublimate the desire for the chocolate chip cookie with a less caloric food or other non-food stimulus that does not pose a threat to your optimal health or pants zippability. Before automatically extending your hand, acknowledge the reason you want any food that does not contribute to physical nourishment. In a hypothetical scenario, let's say Bob from accounting is retiring and there's a big old chocolate sheet cake in the conference room sucking you in like a neodymium magnet..
You may be anticipating the pleasure of the sweet chocolatey flavor or creamy frosting texture on your tongue. 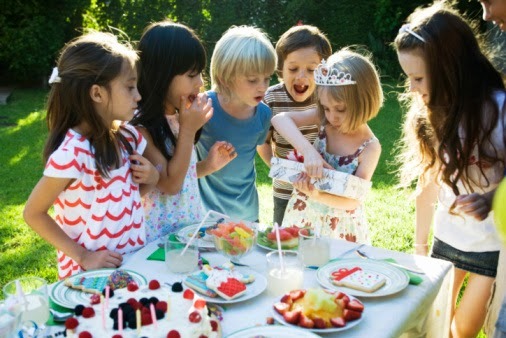 But you may also be trying to recapture the feeling of being your happy 6-year-old birthday girl self surrounded by all of your friends. 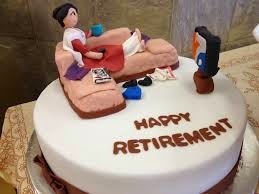 Before walking into the room, ask yourself, "Self, do I really want a slice of that cake -- and, if so, why?" Once you get real -- and deal -- with your myriad motivations, you can say bon voyage to Bob without it costing you 235 calories and 34.9g of refined carbohydrates? Just be sure to make your decision before walking into the room or risk robotically robbing yourself of reaching or maintaining your ideal weight. One of my guilty pleasures is listening to Dr. Laura because I love how her razor sharp mind slices to the root cause of people's problems. For instance, when a Bridezilla calls and complains her future mother-in-law is a controlling female dog, Dr. Laura helps her see the real diva is the woman staring back at herself in the mirror. But Dr. Laura and I don't agree on everything; and one of my biggest beefs with the advice queen is how she handles women who mention they are overweight. She basically tells them they are lazy slobs who need to get off their duffs and eat less food. In other words, she fat shames. The fallacy, of course, is that when someone makes you feel bad, you typically use food to comfort yourself. And the merry-go-round keeps spinning. But don't just take my word for it. Results from a fascinating study on internalized weight bias to be published in the December issue of Obesity Surgery suggest that people who undergo weight loss surgery are less likely to be successful after 12 months if they feel ashamed about their weight prior to the procedure. The study measured "the degree to which people undergoing weight loss surgery translate 'anti-fat' attitudes into negative beliefs about themselves," said Michelle R. Lent, Ph.D., investigator and clinical psychologist at Geisinger's Obesity Institute in an official press release. The researchers found "these negative feelings make people vulnerable to low self-esteem, depression and binge eating,"
Which means those with the most body shame before the surgery had the least success after the surgery. Kind of like a mom telling her daughter she's stupid and then expecting her to ace the test. Not surprisingly, feeling bad about yourself -- which includes being shamed about your body weight -- is not a great motivator to melt fat. More likely, the opposite will happen. Speaking from personal experience, the less a woman feels pressured by external sources to lose weight -- whether it be her doctor, her husband or Dr. Laura -- the more likely she will feel empowered to take positive action if, or when, she feels like it. It's baaaack. 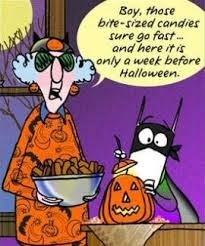 The Candy Holiday Halloween is only four days away and already it's haunting dieters like a bone chilling horror movie. Let's get real, though. 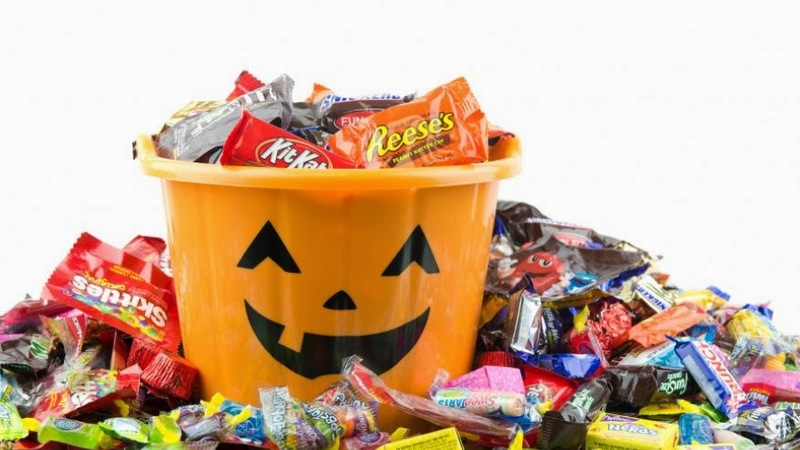 Halloween is just the pre-game show for the holiday double header to come; so if you can't resist a few fun-sized candy bars you're in big trouble. When I was on the Medifast 5&1 Plan last fall I had no trouble resisting the packaged treats. 2. I disassociated myself from candy. This is a mind-over-matter thing, but I told myself that the candy was not for me, just as the dog food and cat food are not for me. In this case, the candy was kid and husband food. 3. I indulged in other sweet treats. Since I was on the Medifast Take Shape for Life program, I had access to bars and brownies that satisfied my sweet tooth, which made regular candy much less tempting for me. 4. I bought candy that didn't tempt me. Unless you are that odd duck who enjoys every possible type of candy, select varieties that do not appeal to you. In my case it's all those sour, tart, gummy things, which most kids seem to go crazy over. 5. I didn't buy candy until the day before Halloween. The reason the stores start selling Halloween candy right after school starts is they know people will stock up in advance and subconsciously purposely exhaust their stash before Halloween. I've never seen stores run out of Halloween candy; so there is no reason to buy it ahead of time unless you plan to consume it yourself. 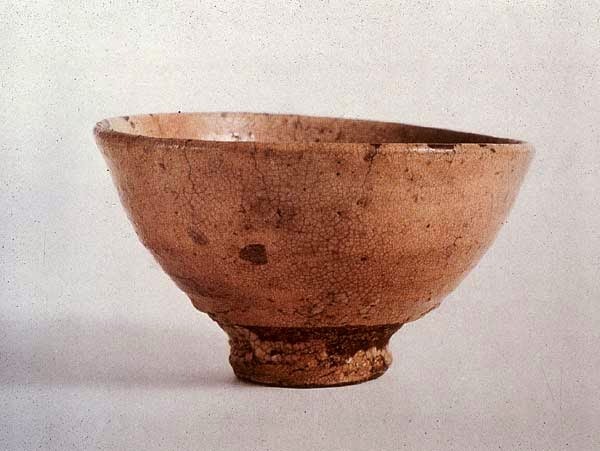 The Japanese aesthetic concept of wabi sabi suggests that beauty is linked to imperfection. A smooth surfaced, perfectly shaped ceramic bowl can be purchased at any Target or Macy's, but the potter's bowl that is slightly lopsided or has a tiny crack is more beautiful because of its flaw. 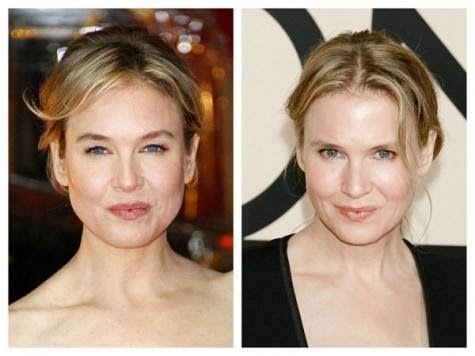 Which may partly explain why much ado is being made of Renee Zelwegger's new face. Not that she doesn't look Hollywood pretty, but she has lost the squinty eyes and pouty mouth that made it look like she had just sucked a lemon. We loved that her face wasn't perfect. So what does that have to do with dieting? It's the notion that being imperfect is sometimes the best approach to solving a problem, which in my case was losing weight on Medifast. I am not a big fan of processed food; so the idea of eating five replacement meals procured from a company in Owings Mills, Maryland -- along with one meal of real food -- seemed like a weird way for me to lose weight. In a perfect world, I would have eaten organic kale and free range chicken and other clean, healthy foods that do not contain a single ingredient you could not find on a farm. But at the time I needed to melt some fat, the Suzie Granola thing seemed like too big a leap. I wanted something quick, easy and convenient; and Medifast fit the bill. Now that I have achieved my goal weight, I can work toward continually making better food choices and ultimately eating as cleanly as possible. But I'm not sure I would have gotten to this place had I tried to eat "perfectly" to start with. Nor do I have the illusion that I will always eat the "right" foods and never stray from my relatively low carb eating plan. 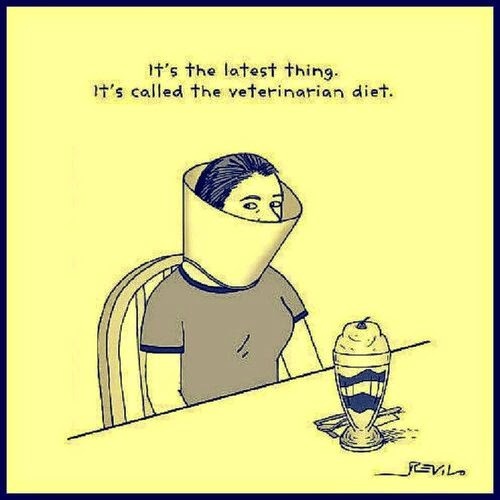 Since reaching my ideal weight, I have had an occasional scoop of ice cream or cupcake. And I never beat myself up over it. What I do when eating contraband food is focus on the experience without feeling any guilt. If I'm going to cheat, I'm going to enjoy every minute of it. And then go right back to making healthier food choices. Barbi Brown, a Medifast TSFL health coach whom I admire, counsels her clients that it is okay to be "perfectly imperfect." As she recently posted on our Facebook group page, "When we string enough perfect days together we end up with perfect results of what we're trying to achieve . . . and that is fat loss." I love that her clients don't feel like a failure if they do not follow the Medifast 5&1 Plan perfectly. They may have a cheat meal here and there -- and maybe even get kicked out of ketosis for a few days -- but they go right back On Plan because they do not expect the path from A to Z to be a perfectly straight line. Wabi sabi dieting is not about deluding or sabotaging yourself. It's about accepting -- and celebrating -- imperfection instead of using it as an excuse to give up. One of the most common questions I get about Medifast (besides "Is that the milkshake diet?") is whether I will have to eat Medifast replacement meals for the rest of my life? The correct answer, of course, is no, but many people who have lost weight on the Medifast 5&1 Plan continue using Medifast replacement meals and similars to maintain their ideal weight. 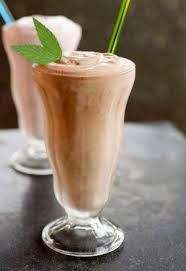 One of my favorite lunches, for instance, is a shake I make using the Chocolate Chip Soft Bake packet, to which I add unsweetened vanilla almond milk, walnuts, cocoa and maybe a few strawberries or half a frozen banana. I can drink this protein packed shake in the car on my way to work, and it keeps me full and energized for several hours. 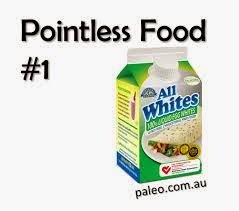 Most of the time I eat so-called real food that is found in the outer perimeter of the supermarket. But if I am at the top of my ideal weight range, I might substitute a more caloric meal or snack with a Medifast meal or two. 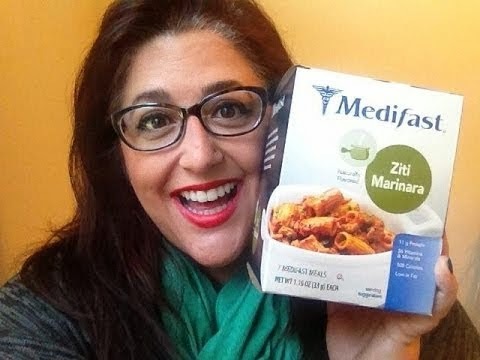 For instance, the Medifast Ziti Marinara makes a terrific mid-day meal, especially with a melted wedge of Laughing Cow cheese (my favorite is the Creamy Queso Fresco Chipotle). Debbie Schussler Bodenhorn, a popular TSFL health coach in one of the Medifast Facebook groups to which I belong, lost much of her weight eating five Medifast brownies a day in addition to her Lean & Green meal. Two years later -- and still 57 pounds lighter! -- she continues eating a Medifast brownie every night (with a few walnuts!) as a way to satisfy her sweet tooth. In the course of a year she avoids consuming thousands of fattening dessert calories and excess sugar from the likes of candy, cookies, cake and ice cream. Since I am following the five-pound rule -- never allowing myself to go beyond five extra pounds -- Medifast replacement meals are a great way for me to cut back on my calories without feeling hungry. They especially come in handy after a vacation or holiday spree in which I may have eaten more carbs than my body can handle. 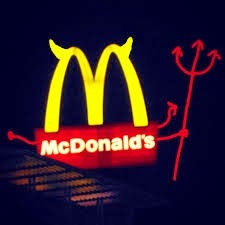 Halloween is a week away and the devil has already dressed up -- as McDonald's oatmeal. 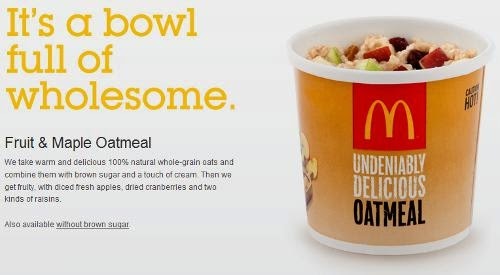 Hopping on the health food bandwagon, the fast food giant introduced its Fruit and Maple Oatmeal with Brown Sugar almost four years ago, hoping that customers would mistakenly think its new breakfast option was better for them than an Egg McMuffin. But how could an entree with 32g of sugar -- that's right, more sugar than a Hershey's bar (24g) -- be healthy? by adding a bunch of sugar and chemicals to it. Whether or not any type of oatmeal is a good food choice for breakfast is another story, depending largely on how your body processes carbohydrates and how the oatmeal is prepared. But if you must get breakfast at McDonald's, stick with the Egg McMuffin. You get 17 g of protein and only 3g of sugar -- a much better nutritional deal than the 32g of sugar and 5g of protein in the McFraudulent "healthy" meal alternative. "We should all know by now that dieting doesn’t work," writes a chiropractor whose website promotes wellness products. "If you’re one of the 100 million Americans trying to lose weight, here’s a hot tip: Don’t go on a diet," advises a blogger for Forbes. "Let’s face it, Diets Don't Work!" exclaims a weight loss guru who, besides randomly capitalizing words and overusing exclamation points, promotes her book called Diets Don't Work and markets CDs, workshops and other non-dieting approaches to losing weight. So who am I to argue with these "experts?" I don't have any pills, potions, books or CDs to sell, and I don't write for one of the nation's most respected financial magazines (although I did once have an article published in American Baby). What I have done is lose weight relatively quickly and with minimal will power by going on a diet, and I have managed to keep it off for almost a year. Going on a diet is not a magic way to lose weight forever, but it's one of the best ways to kick start fat melting because it's a pattern interrupt. Before going on a diet I was eating cheese quesadillas for breakfast every day; sandwiches for lunch and pasta, potatoes and bread with dinner -- and I pretty much allowed myself to eat whatever sweet treats came my way (working in a large office, there were many). If I went out to dinner I would order a cocktail, wine and dessert because, like the L'Oréal lady with lustrous hair, I was worth it. I tried all the various non-diet hacks I read about on the web, from using smaller plates to mindfully eating. 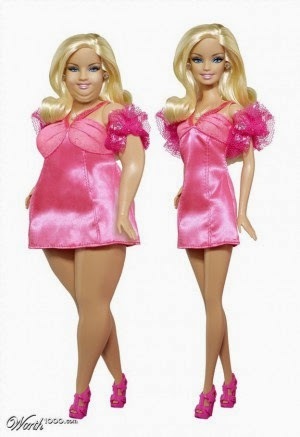 But what I had to do to lose weight was something radically different from what I had been doing. In my case I strictly followed the Medifast 5&1 diet plan in which I ate five Medifast replacement meals and one lean & green dinner each day that I prepared myself. Once I reached my ideal weight, I was able to create a new (hopefully) permanent way of eating that incorporates many of the lessons I had learned from my diet, such as eating more frequently, drinking more water, making protein and vegetables the mainstay of my diet and treating carbs as condiments. And so far it's working. Making blanket statements like "diets don't work" is a great sound bite for hawking books and hypnosis CDs, but it discounts the fact that millions of people do lose weight each year by going on a diet. The fact that most people regain all or part of their weight is beside the point. Once you lose the weight, you need to make sure you don't find it again. But first you must lose the weight. One of the fringe benefits of doing Medifast has been meeting some exceptional people through several Facebook groups to which I belong. I quickly took a liking to a fellow "loser" named Stacie Scheet, whose posts and comments revealed a woman with keen psychological insights, a positive attitude and a great sense of humor. 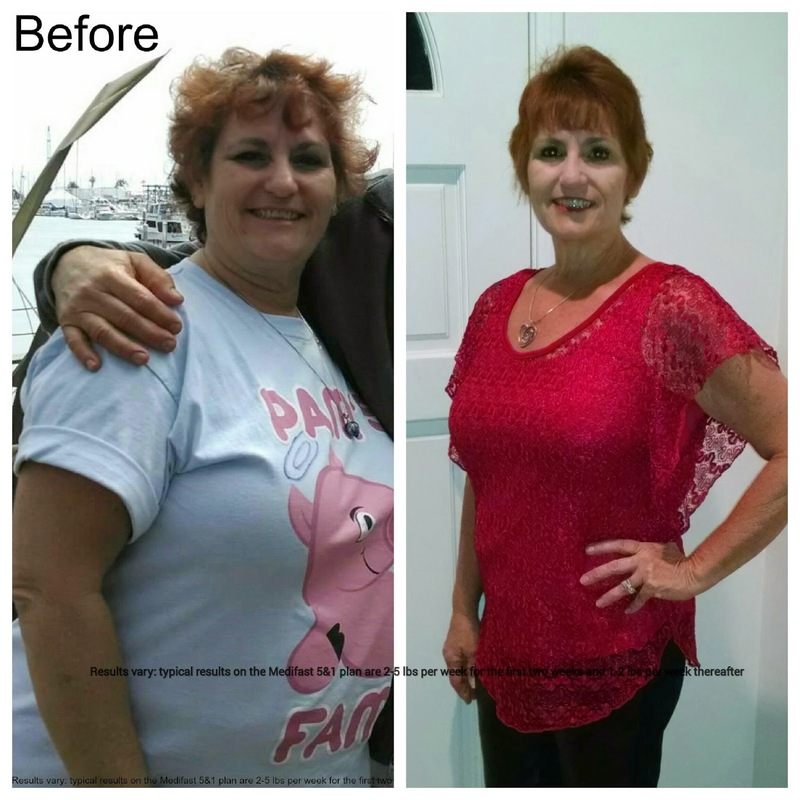 Over time I learned that Stacie had undergone a gastric bypass procedure in the past but had since regained more than half the pounds she lost after the surgery. Many people who want to lose more than a hundred pounds consider the option of gastric bypass surgery; so I wondered how Stacie felt about this popular procedure. Did she wish she had done Medifast instead? Would she still recommend gastric bypass surgery to others? And why was Medifast working so well for her now? Happily, Stacie agreed to answer some of my questions so I could share with my readers the first-hand experience of a woman who successfully lost weight through the Medifast 5&1 Plan after reversing some of her post-surgical weight loss. Q: When did you have gastric bypass surgery? 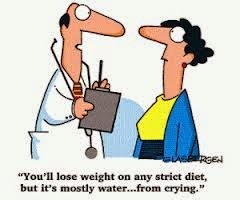 Q: What diets or other weight loss strategies had you tried before then? 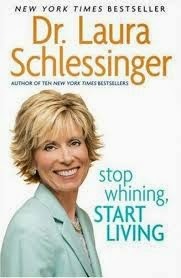 A: Everything -- Jenny Craig, Nutrisystem, Weight Watchers, Cabbage Soup, Slim Fast . 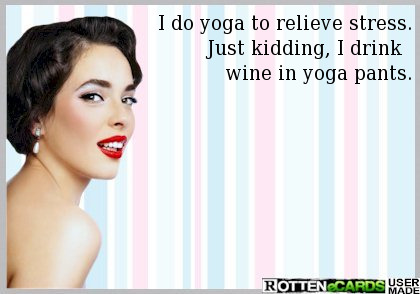 . . and exercise! Q: How much did you weigh when you had the surgery? A: My highest was 273 pounds. Q: How much weight did you lose after the surgery – and in what time span? A: I lost 110 pounds, the majority of it in the first six months. Q: Did you develop any alternate addictions after the surgery (shopping, gambling, etc.)? A: I did not, though I had many many friends who did develop these cross addictions, including a couple of friends who died from alcohol poisoning. Q: What made you decide to try Medifast? A: It felt like a last ditch effort. Weight Watchers wasn't working for me. It was too easy for me to out-eat my points and you have to exercise a lot (I am not a fan of sweating!). I considered myself a successful surgical patient but that wasn't an option any more. I knew that Medifast was physician based and worked; so I gave it a try. I didn't realize how much it would change what I thought I knew about food, eating and nutrition. 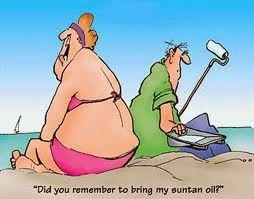 Q: How much weight have you lost to date? A: 68.9 pounds. My initial goal was 45 to 50 pounds, but once I reached that the program was so easy and the weight and inches were still melting off. So I thought I'd try for another twenty. For me its never been about a number on the scale as much as how I felt in my own skin. Q: Would you still recommend gastric bypass surgery to others who want to lose weight? Why or why not? A: I am a believer in gastric bypass. My issue is that it has become a quick fix. Most people (myself included) do not learn to change the way we eat. We lose weight because our intake is limited. But once the ability to eat more occurs, most people will. My weight gain happened at years 9 and 10. I gained 50 pounds. Q: Why do you think Medifast has worked so well for you? A: It works because it's a sound program that has taught me how to fuel my body and what I need to do to sustain my weight loss. Reading The Habits of Health by Dr. Anderson had me slapping my forehead in the first few chapters! That, on top of the coaching system (which gave me someone to be accountable to) made it rock solid. Q: Why do you think you will be able to maintain your ideal weight after reaching your goal? A: Knowledge, passion and accountability. Learning that calories are not equal. And getting healthy with my husband means that I have a partner in health and a new outlook on our life. Q: What made you decide to become a Medifast Take Shape for Life health coach? Q: What is the most valuable thing you have learned from the program? A: The eating plan (six small meals a day) is a perfect way to sustain energy and nourish my body. And to become friends with my scale. In the long run, the scale will be the tool that keeps me accountable. Q: Do you regret having the gastric bypass surgery? A: I don't regret it. What I regret is that there wasn't a wonderful support and educational system like Take Shape for Life available as a post op. There's an old saying that knowledge is power, and when it comes to our health nothing could be closer to the truth. Q: What else would you like to share with anyone considering gastric bypass surgery? A: Try Medifast Take Shape for Life. Find a coach that can help you be passionate about your journey. Gastric bypass seems like the easy way out, but it's not. Besides the side effects that can occur -- the dumping, the surgical issues, the aforementioned cross addictions -- it's not a lifetime fix. The majority of the people who had surgery about the same time I did have regained some or all of their weight. They are struggling just like the pre-op days. If you would like to contact Stacie directly, you can email or call her via her Take Shape for Life health coach page. 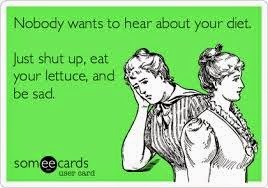 One of the main reasons people ditch their diets is they feel hungry all the time. Deprivation fuels obsession, which leads to overeating and binging on "bad" foods. The key to sustained weight loss is to reduce calorie intake while still feeling satisfied. Which means you have to know which foods are most likely to make you feel full. Take eggs, for instance. Once vilified as heart-murdering monsters, eggs are resuming their rightful status as a health food. No, not the misguided egg white omelets that miss the whole point of eating eggs. Real whole eggs -- hard-boiled, scrambled, over easy or frittata-ed. Studies have shown that people who eat eggs for breakfast lose more weight than those who eat bagels, and the reason is pretty obvious. Eggs are loaded with protein and fat, both of which make you feel fuller than those containing floury or sugary carbs. They're also packed with nutrients, such as iron; zinc and vitamins A,E, D and K, almost all of which are found in the yolk. Salmon is another nutritional superstar that will help you feel satisfied. Like eggs, salmon contains a good amount of protein and fat; and its Omega 3 fatty acids help reduce inflammation. For a true supermeal, eat your salmon with a salad containing leafy greens like kale, spinach or swiss chard -- all of which are full of fiber. The trifecta of protein, fat and fiber will make you forget food even exists. Another satiety trick is to add water to your food, which doesn't mean boiling your steak or diluting your yogurt with H2O. We're talking soup here. Just about any protein and vegetable combination can be turned into a sippy meal -- from steak and kale to chicken and broccoli. You can also add some higher fat food like milk or cheese to make you feel fuller even longer. A side benefit of soup is it takes you longer to consume; so your body will let you know you've had enough calories before you go overboard. If you do get hungry between meals, choose snack foods that have protein and fat, which does not include Pringles or pie. Some good options here are nuts, yogurt, cheese and hummus. The combination of protein and fat will fill you up and help you avoid an emergency visit to the vending machine. You can add some fruit to your protein -- apples with almond butter, Greek yogurt with peach slices; but avoid eating fruit by itself because it could spike your blood sugar. True or false? Salads that contain fat will make you fat. So if you read the headline, you know where I stand on this. But most people still think fat is a four letter word. As did I. Until I started reading more about which macro-nutrients are most conducive to weight loss and discovered that maverick nutritionists are debunking the myth that eating fat will make you fat. It may seem counter-intuitive, but salads that contain fat are not only more satisfying, they will help you lose weight and absorb more nutrients from the vegetables. Even Prevention magazine, which is as middle America as you can get, concluded, "If you want the most out of your salad, ditch the diet dressing and reach for a healthy serving of old-fashioned fat." 1. Eating vegetables without fat is less satisfying and may cause you to binge on less healthy foods later. 2. 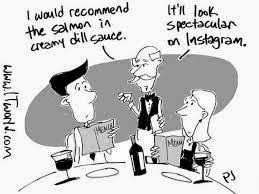 Most low- and non-fat salad dressings replace the fat with sugar in the form of high fructose corn syrup or other suspicious sweeteners. 3. Many of the vitamins (A,E, D and K) and carotenoids in vegetables are fat soluble, meaning your body will not absorb them in the absence of fat. 4. You are more likely to enjoy salads if they contain fat; so you will eat them more often. 5. Fat in the absence of sugar and other empty carbs will not make you fat. What's wrong with this salad? Not the avo, cheese or sour cream. I eat a relatively high-fat salad as a main meal almost every day and have been maintaining my weight loss beautifully since losing 35 pounds on Medifast almost a year ago.Some of the delicious and satisfying foods I add to my salads are nuts, avocado, olives and blue cheese. I also add proteins which contain fat, including tri-tip, grilled chicken, bacon and eggs. 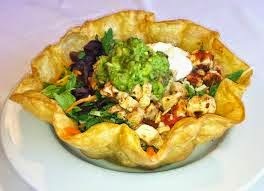 If I order a taco salad from a Mexican restaurant, I ignore the greasy, carby taco shell but have no guilt about eating the avocado, cheese and sour cream. And, really, who needs the croutons in a Caesar salad? Or the side of bread? One of the best things that has happened to me since avoiding empty carbs in my diet is that I now eat more fat, maximizing my absorption of nutrients while maintaining my ideal weight. Last week, the trainer in one of those how-to-be-a-better-manager webinars at work used a cutesy acronym that really resonated with me -- C.A.V.E. dwellers. These are the people who are Consistently Against Virtually Everything. I used to think of these people as Negative Nellies, but I like the image of them as cave dwellers much more. 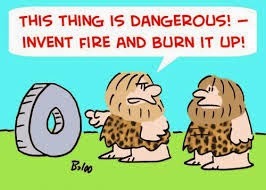 No doubt they would have found fault with the wheel and fire when they were first discovered. Most dieters have some C.A.V.E. dwellers in their circle of friends and relatives. They're convinced we are going to pack on all of our extra pounds (and then some!) after we achieve our ideal weight. And statistically they are right. "Researchers at the University of California at Los Angeles analyzed 31 long-term diet studies and found that about two-thirds of dieters regained more weight within four or five years than they initially lost," according to NBC News. Yet one third manage to keep all or part of their extra weight off, a statistic your C.A.V.E. dwelling Aunt Martha fails to mention. Meanwhile, a woman in one of my Medifast Facebook groups -- we'll call her Clarissa -- was upset by a conversation she had with a so-called friend to whom she'd offered some Size 2X clothing that no longer fit her. The friend refused the clothes because she was concerned Clarissa would need them again when she gained her weight back. Clarissa asked our group for a snappy retort the next time this happened. Here's what I would say, "Wow, it must be tough being so negative all the time," after which I would avoid her like the ebola virus. 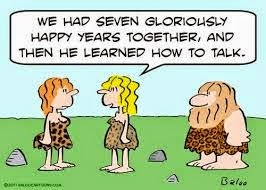 One of the secrets to succeeding with the Medifast Take Shape for Life program -- or any other self-improvement venture -- is staying away from people who are happiest when they and those around them are miserable. 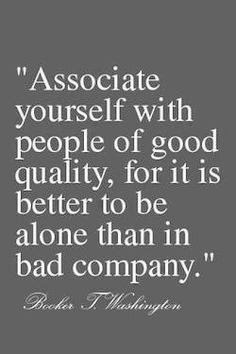 Misery may like company, but it doesn't have to be yours. 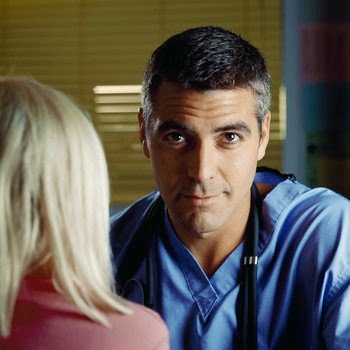 Do you feel like an ER doctor running from one code blue to another? Or a fire fighter living in a city with an arson on the loose? Could be you're a hyperdrive stress type, according to So Stressed: A Plan for Managing Women's Stress to Restore Health, Joy and Peace of Mind. Gynecologists Stephanie McClellan and Beth Hamilton break down stress into four types, each of which has its own coping strategies. Today we're going to look at hyperdrive stress, including its effects on health and body weight and how to deal with this stress type besides having a nervous breakdown or mainlining Merlot. One of the key qualities of people with hyperdrive stress is the inability to distinguish between real emergencies and routine bummers. If you suffer from hyperdrive stress, every little mishap -- from losing your keys to running out of milk -- feels like a crisis, leaving you perpetually anxious and short tempered. Chances are you also have trouble sleeping and get frequent headaches and sinus infections. And as a result of the recurring release of the stress hormone cortisol, you're more likely to have serious chronic health conditions than other stress types, including heart disease, type-2 diabetes, yeast infections, alcoholism and infertility. Not to mention more belly fat. So what's a hyperdriver to do? Move your body more (a.k.a. exercise). The fight or flight response made sense for our ancestors who had to flee wild animals and people with spears since the extra jolt of cortisol gave them energy to bolt. But if you're like most modern day sofa spuds, the constant release of stress chemicals such as cortisol and adrenaline will just make you feel edgy. Yoga, meditation and self-hypnosis can also quiet your monkey mind and make you feel more physically relaxed. Eat low glycemic foods, such as most vegetables, nuts and other high fiber foods, which can slow down the release of sugar into your system and trigger the release of serotonin.. Diets such as Medifast have great suggestions for low glycemic foods you can eat, such as mushrooms, hummus and unsweetened almond milk. Remind yourself that not every stressor needs a response. If you're not sure, recall the serenity prayer: "God grant me the serenity to accept the things I cannot change; courage to change the things I can; and wisdom to know the difference." Then determine in which category your stressor fits. The more calm your mind and body are, the more creative your solutions will be for dealing with situations under which you do have some control. Repeat daily affirmations such as "I can see stressful situations as challenges," "I can handle whatever comes," and "This too shall pass." These simple statements can help you rewire your neural pathways so that you no longer view stressors as negative triggers, but rather as rich opportunities to draw upon your inner resources and gain personal power, suggests stress management expert Elizabeth Scott. Reframe situations whenever possible, which is really just cognitive psychology jargon for turning lemons into lemonade. If you're home sick with a cold, savor the chance to play hooky from work and catch up on your Netflix queue. Transform a burnt dinner from a calamity into an adventure by going out to eat or zapping some popcorn and calling it dinner. And forget about crying over spilled milk. After you finish sponging off the counter and mopping the floor, relax at your kitchen table with a soothing cup of tea and appreciate your sparkling clean kitchen. 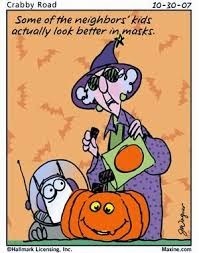 Pumpkin Fever! What's a Medifaster to Do? 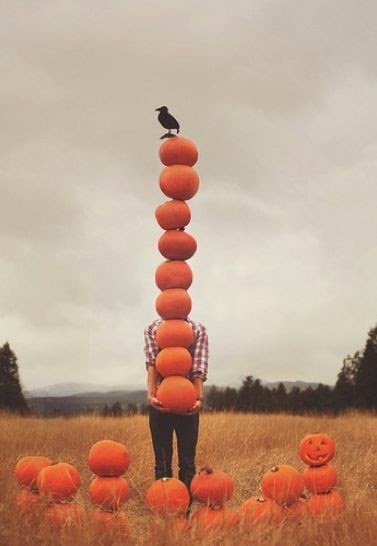 Stop with all the pumpkins! At Starbucks, the pumpkin spice lattes are kicking chai lattes to the curb. A colleague at work tells me she's going to stock up on pumpkin Pop Tarts. Who even knew there was such a thing? And when did October become Obsessed with Pumpkins Month? From pumpkin flavored Pringles to Pinnacle Pumpkin Pie Vodka, we have suddenly fallen under the spell of pumpkin flavored food and drinks. Well, most of us have. The only thing I like about pumpkins is their seeds, salted and roasted in a 350 degree oven until they're crisp and golden. I figure if pumpkins tasted so good, why do we eat pumpkin pie only on Thanksgiving? But I digress since I am clearly in the minority here. Food manufacturers and restaurants have figured out they can cash in on the seasonal pumpkin mania and are adding the gourd's flavor and scent to virtually anything we can stick in our mouth (don't go there), including gum. Since people on Medifast have a more limited range of food and drink options, I wondered how they could enjoy pumpkin season without turning into pumpkins themselves. 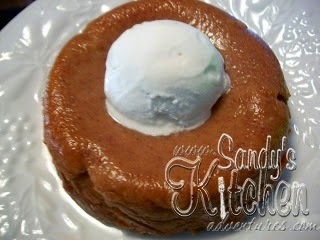 Leave it to our favorite Medifast food blogger Sandy Bass to incorporate pumpkin into one of her recipes. She combines pumpkin pie spice with MF vanilla pudding, egg white, vanilla, and water to satisfy the pumpkin craving. Though Medifast does not sell a pumpkin flavored shake (yet! ), it has a recipe on its website that combines its French Vanilla shake with pumpkin pie spice. Lyn from Escape from Obesity added some canned pumpkin and pumpkin pie spice to her Medifast oatmeal and raved, "It was so good and filling!" So, in case you have not figured it out yet, just add canned pumpkin, pumpkin pie spice or Torani sugar free pumpkin syrup to anything you like to eat or drink and make it pumpkin flavored. You'll probably save a bunch of money, which you can set aside for all the new clothes you'll be needing as you shed your excess pounds. 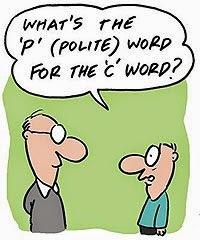 So I know what you're thinking, but it's not that C word. It's carbs. And her four mischievous children: chips, cookies, cake and candy. Not to mention their evil cousins pasta and bread. Seriously, carbs are not the devil, but they don't wear Prada either. We need carbohydrates to survive. Some carbohydrates are better than others, like the ones in vegetables, fruits, beans, nuts and whole grains; but every family has its black sheep; and in the case of carbs it's white flour and sugar (in its many disguises). The other day at work I was offered some kind of sugary floury confection whipped up from a Pinterest recipe, and I said, "No thanks, I'm allergic to carbs. I break out in fat." I was kidding, but really not. Because I have found that avoiding empty carbs, for the most part, is an effective strategy for maintaining my ideal weight since losing 35 pounds on Medifast. That said, I went to the Spaghetti Factory last night to celebrate my son-in-law's birthday and had a small side of pasta, one slice of bread and a scoop of spumoni with my baked chicken and salad. And I enjoyed every bite and creamy spoonful. So if I'm up an ounce or two on the scale today, it's no big deal; because eating empty carbs is now the exception, not the rule, for me. They have become the "eat sparingly" triangle in my personal food pyramid, whose base is protein, veggies, fruit and fat. 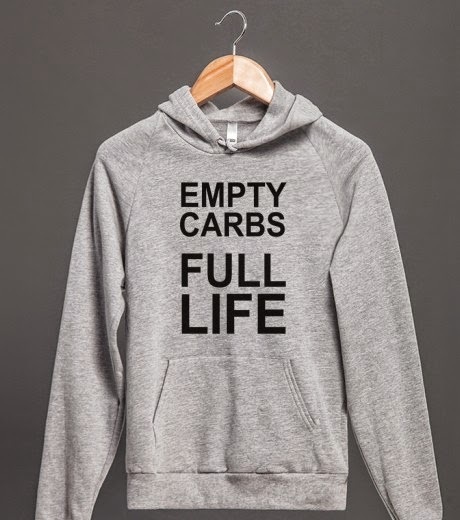 When I consume empty-carb foods now it is with relish, not regret, because I deliberately choose to eat them Denying them altogether gives them too much power over me. If I find certain foods are binge triggers -- yeah, I'm talking to you, Doritios -- I do avoid them, but I can eat most empty-carb foods in small amounts and not crave more. What's up with the sinister face, Jack? The bottom line is not all carbs are bad, and not all bad carbs have to be avoided completely. I had to identify my triggers and allow myself to indulge in those occasional treats which I could eat without losing control. Why is 'Hungry Girl' Always So Hungry? What If You're the Elephant in the Room?